Most critics and worshipful fans (which usually are one and the same) take ol’ Bobby Zimmerman way too seriously. Yeah, sure, of course: At age 71, marking his 50th year as a recording artist and with 35 studio albums to his credit, the man from Minnesota is a living legend and a bona fide American treasure certain to be lauded and studied in the decades to come as intensely as, say, Mark Twain or H.L. Mencken. But as with those two literary lions, Dylan’s sense of humor will be a primary reason his work endures, even if too few mention that now. The musician’s love of surrealism by way of Beat sarcasm has been there throughout his entire time in the spotlight, via his consistent embrace of the perverse and the unpredictable and a razor-sharp wit so dry and subtle that many never catch it at all. As if making one final bid to get folks to lighten up and realize that much of the time he’s just been having fun, he’s amplified the “goof quotient” in many of the songs on his last few albums—and not always with great results. Witness the so-goofy-it’s-unpalatable Christmas in the Heart in 2009. He kills me, this guy; he just kills me! And because there’s more of this sort of thing on Tempest than on any album he’s given us this century, both in the music and in the lyrics, it also is my favorite from this stretch. As if to provide the heaviosity so many expect of him, and in keeping with much of his recent material, Dylan considers his mortality many times in these 10 tracks. “I’m armed to the hilt, and I’m struggling hard/You won’t get out of here unscarred,” he rasps in “Narrow Way.” “I ain’t dead yet, my bell still rings,” he croaks in “Early Roman Kings.” “The more I take the more I give/The more I die the more I live,” he wheezes in “Pay in Blood.” And so on. Yet even as he delivers these lines in the worst, most time-ravaged and least musical voice of his career, he gleefully glides like Fred Astaire through backing tracks that are full of life, lust and joy. Self-produced under the pseudonym Jack Frost, and recorded with live-in-the-room, slapdash spontaneity, he spotlights a great, loose yet extremely sensitive band driven by mainstay Tony Garnier on bass. The guitars thankfully are ratcheted up a bit from the last few discs (cudos to Charlie Sexton and Stu Kimball), and the proceedings are gorgeously decorated with steel guitar, banjo, violin, mandolin and accordion (courtesy of Donnie Herron and David Hidalgo of Los Lobos). Waylaid by arthritis, he may not be able to lead the band on his own axe anymore, as he did so effectively during much of the ’90s. But musically, he’s finally got his groove back. Even the failures here are easier to accept that those on, say, Modern Times or Love and Theft. The much-derided Lennon tribute “Roll on John” and the much-debated 14-minute-long title track, with its strange conflation of the real-life disaster of the Titanic and James Cameron and Leo DiCaprio’s popular fictions, are best appreciated as not necessarily being about what they seem to be about but as ruminations on mythmaking, much like his equally strange odes to the boxer Rubin “Hurricane” Carter or the mobster Joey Gallo from eras past. 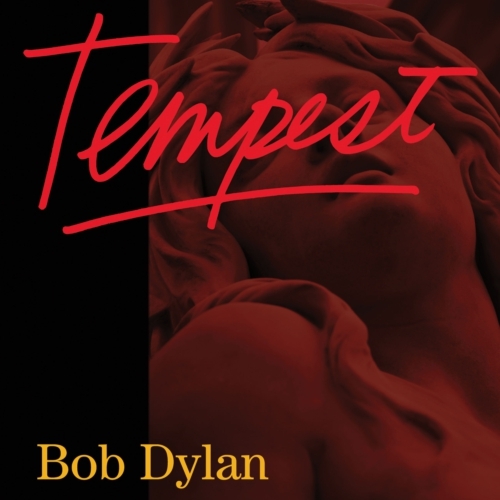 Is Tempest a masterpiece, or one of the Top 10 you’d reach for when choosing your Dylan desert-island discography? Heck, no. But as the sage himself has been trying to tell us for half a century now, sometimes it’s enough just to dance and smile a bit.